VANCOUVER — The athletic director is not sure how the school will perform game-day operations without her. Game officials could always rely on her. Coaches also knew that if they needed anything, she was the one to ask. Ralphie Montgomery just might have worked her last game at Prairie’s gymnasium Friday night. The Falcons said goodbye, told her how much she was going to be missed, and they are trying to figure out just how to fill her role. The shot clock, and the perfect place to plug it in. The scoreboard. The press tables. The keys to each locker room. On many nights, she sells tickets at the door. And every night, she is the go-to person when someone needs something on the double. Montgomery is the welcoming committee for game officials. She is the welcoming committee for opposing teams, as well. Castro said visiting coaches could always count on a “first-class event” no matter the result of a basketball game. “She just took care of everybody, and she’s been doing it for years,” Castro said. “Just do a setup so the coaches have nothing to worry about,” Montgomery said matter-of-factly, as if it were no big deal. Montgomery has worked 28 years in the school district, 26 years in the gym. Oh, and working game-day ops is her secondary job on game nights. She works security for the school, as well. Yes, she is a big deal to Prairie … and beyond. 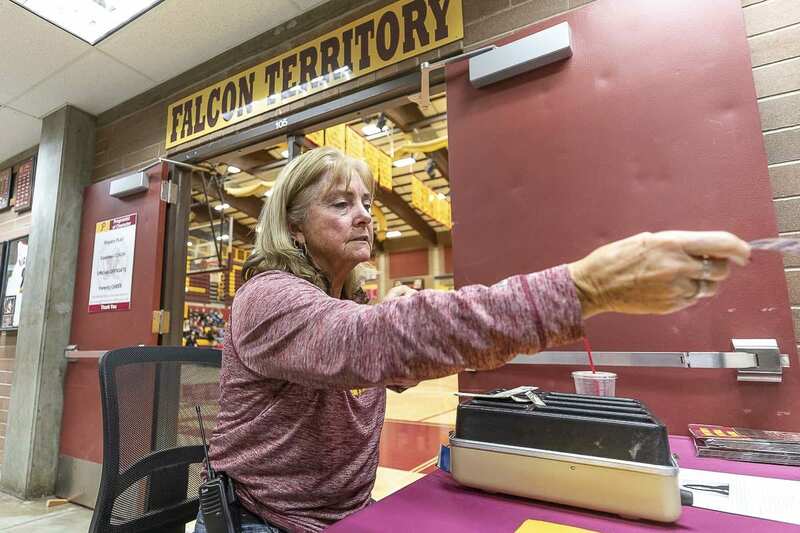 Decades ago, when she first started working at Prairie, the job was part-time. As a single mother, she was always looking for more hours. That is how the night gig started, working sporting events. “I took it because I needed it, but I ended up loving it,” she said. It turned into so much more than a job. Montgomery often wears shorts, even in the winter, and usually wears Prairie gear to the games. She said there was no need for her to wear a security uniform. 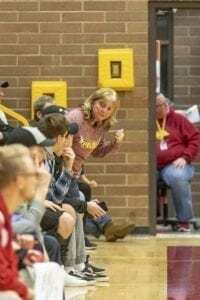 The students all know who she is, and while she knows what to do in the event of a tense situation, for the most part, she just wanted to be a friendly face in the gym. Through the years, she became just that. To the athletes. The students cheering them on. The coaches. And the officials. Rick Stover of the Evergreen Basketball Officials Association said Montgomery has been an asset to the officials, always leading the way to the locker. “She is a fixture,” Stover said. Montgomery said every Prairie team through the years has had something special to remember. She has been most impressed by the athletes, who always treated her with respect. She said a lot of credit to that should go to the coaches. As far as her departure from the gym, it is tough for Montgomery to talk about. The job was changing from the district’s standpoint, and with an uncertain future, she said she felt she had to look for other opportunities. She is set to begin a new job this week. While there is a possibility the district and Montgomery could figure out something to still work some games in the future, the high school is preparing for sporting events without Montgomery. “It’s our loss,” Castro said.